Our Coconut Milk Melt and Pour Soap Base is a detergent free base that is opaque and white in color. It contains coconut milk, which is thought to be high in antioxidants and an excellent natural moisturizer for the skin. The twenty-four pound big block is ideal for larger projects, as it will make (96) 4 oz. bars of soap. Soap comes in a blue bag with twist tie and corrugate box. A single block measures 13 x 11.5 x 6 inches. Package: 24 lb Big Block Melt Point: 120-125º F.
COMMENTS: My loofah soaps made from this M&P are a best seller with both my retail and wholesale customers. I change fragrance with the seasons for my ladies and gents. COMMENTS: I absolutely LOVE this DF Coconut Milk base! The bars are nice and creamy. Unfortunately our water is super hard so I can't comment on the lathering properties but even so we had a small amount of lather. I will definitely be buying more of this amazing base! COMMENTS: I love this DF coconut milk base soap. I need not add more to it. Just a little fragrant and color and my soap is all set! 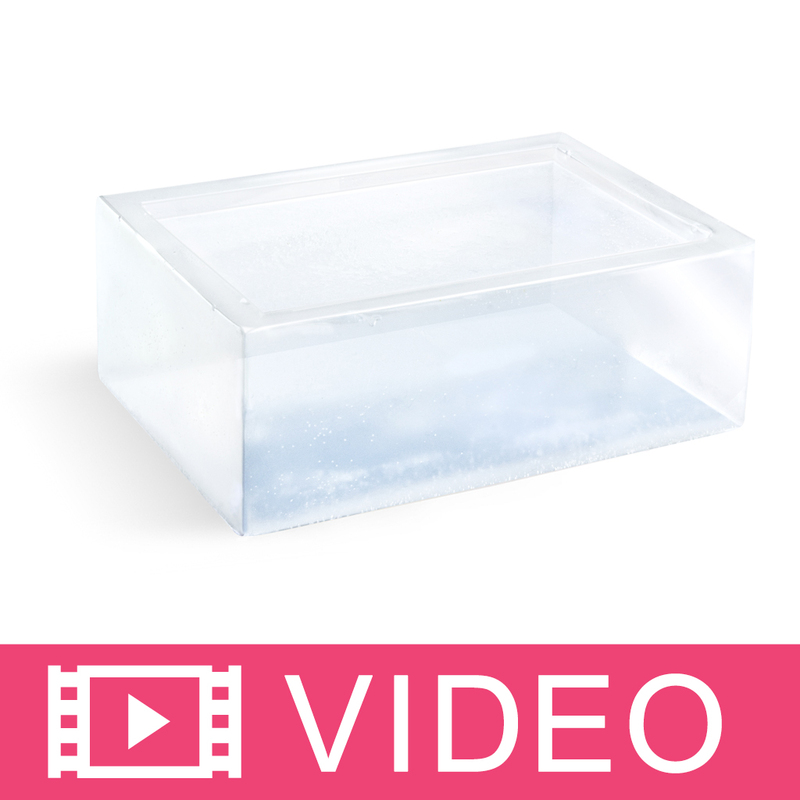 "Pre Made Bases for Designs and or Charities"
COMMENTS: My absolute favourite M&P soap base. Soaps are soft, moisturizing and the cure time is great. It does take a bit longer to fully harden and not have that "sticky" feel, but it's definitely worth it for the ease of M&P that also gives you a wonderful bar of soap. COMMENTS: This is my go to base! The best! I use it to make soap cupcakes, loaves....it is so soft and creamy, does not appear to sweat, and takes color and fragrance very well. My customers just love it! COMMENTS: I love this soap base, and my customers do, too. It takes additives like colors, fragrances, and botanicals well. I use several different soap bases such as shea butter, goat milk, and honey. But my soaps made from this base sell best. "Very good, just takes some time to harden"
COMMENTS: Just whipped up a batch of my rose gold rose scented MP soaps. In a loaf mold this base takes a little while to set up, so I'm being a little impatient lol. but I love it so far! COMMENTS: This product melts well, sets nicely and takes scent well. The only challenge is cutting the 24 lb. blocks. • add suggestions for coloring. • more suggestions for cutting. COMMENTS: I'm really happy with this soap base. The coconut adds extra moisturizing properties, that leaves your skin feeling soft and not dry. "Very nice melt n pour soap"
COMMENTS: I like this soap, I did find it a little soft but overall a very nice product and one I would consider using again. COMMENTS: This soap base is fantastic. It is easy to color, infused, and add fragrance. This soap base is very moisturizing and my customers love it. It is a fast moving product for my company without the labor of mixing lye and oils together. COMMENTS: This is the best soap base! It is for me a neutral base to make an array of soaps from lemon lime, lavender, mocha and more. my customers love it! "Perfect for my eczema soap"
COMMENTS: This is a great base for my M&P soap, I love the fact that it is coconut oil. I look forward to a lot of projects with this product. COMMENTS: I love this base! So creamy!! COMMENTS: Used in flower mold that I'm making for craft fairs. The soap really feels good when I used it, and my friends loved the way it made their skin feel, soft and fresh. COMMENTS: This is a great base to work with, great lather! COMMENTS: Wow, just wow! Amazing moisturizer and base soap. Love this stuff and will definitely order again. "Always have a block of this in my supply room"
COMMENTS: Coconut Milk is such a versatile base and brings such great properties to brag about in your soaps. It's nice to have it included in the base so you can continue to add other nutritious things without losing your lather. COMMENTS: A nice soap base. good lather (more bubbles than the shea butter or goats milk). It's not a big sweater for me- so that is also a plus! COMMENTS: I've decided to no longer make Goat's Milk Soap and just carry a Vegan Line of products. I just love the way this makes the skins feel, the suds, so far I have had nothing but compliments.
" Coconut Milk Melt and Pour"
COMMENTS: I enjoy the fact that the coconut milk scent is not strong! Its also very easy to mold and mix with any other smells. COMMENTS: THIS SOAP WAS AMAZING. IT HAD A SILKY FEEL TO IT AND GREAT LATHER. MY CUSTOMER'S LOVE THE WAY IT HOLDS THE SCENT. THIS WAS THE CLOSEST TO ALL NATURAL SOAP. THE COCONUT MILK MAKES A BIG DIFFERENCE IN SOFTNESS TO SKIN AND LATHER. THANK YOU WHOLESALE PLUS! I LOVE THE LARGE BOX ITS BETTER THAN BUYING SMALL AMOUNTS OVER AND OVER. • AND THE COCONUT MILK OF COURSE!!! COMMENTS: I have tried several of the melt and pour bases and this is my absolute favorite. Much less sweating than other melt and pour choices, holds colors and scents well. I would highly recommend!! COMMENTS: The Detergent Free MP Coconut Milk Soap Base is just a delightful product that I know I will be purchasing many times in the future. I was initially attracted to it due to its lack of harsh chemicals and moisturizing capabilities. Even thought it has a coconut milk base, I did not notice any coconut fragrance, which I prefer. It lathers nicely, and holds fragrance very well. A comment shared with me by a friend who tried it appreciated the fact it did not disintegrate when she used it in the bathtub, and it left her skin feeling nicely moisturized with a residue feeling. I ordered the 24 lb. block, which came packaged in a cardboard box, and the soap brick wrapped in a plastic bag. Once the soap was brought up to room temperature, I found it fairly easy to slice with a knife. What a fantastic product! "Leaves the skin renewed n alive"
"One of my favorite bases"
COMMENTS: Very easy to work with...silky and smooth. Quite moisturizing as well. I like using this base. "great lather! nice big block! Love this soap"
COMMENTS: My first time ordering melt and pour so I didn't know what to expect. I love the detergent free coconut milk soap and its lively lather. My customers love it too! "Making Soap infused Sea Sponges"
COMMENTS: This base is very nice!!! My customers love the lather of the soap made with this base!! COMMENTS: This base makes a great firm bar of soap, but beware if you leave it in the car, It WILL melt. COMMENTS: Ever since I first bought this product I have enjoyed working with it and my customers love that its coconut milk. Lathers nicely and holds fragrance pretty well too. Will buy again soon. "Coconut Milk MP-24 lb. Block"
COMMENTS: This is a wonderful soap base when I am in a hurry and can not do cold process. 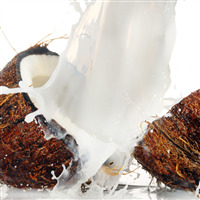 The coconut milk is naturally full of lather and anti-bacterial. It leaves the skin softer than most soaps. Just incredible. I really love this base. COMMENTS: This soap gives a lot of lather and leaves your skin feeling good. I have used it before and decided to buy it in a larger quantity. 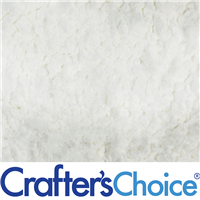 "Crafter's Choice DF Coconut Milk MP 24 lb block"
COMMENTS: My all time favorite base. Love the way it holds up when pouring and love the wonderful lather. COMMENTS: I love the ease of use with the MP soaps. Easy to combine them so that you can create any soap for all skin needs. COMMENTS: This is a great soap base which works well in many applications and stands up to the hot and humid weather during the summer. COMMENTS: First I love all the detergent free bases, but this one is especially awesome. It makes for a nice creamy soap. coconut anything is really in right now so this is selling better than all the others, it's great with scents, but sells well unscented too. COMMENTS: This soap base is easy to use and holds fragrances oils very well. Our customers like how their skin feels after using this soap. COMMENTS: I liked this soap base but, I wasn't in love with it. I liked offering it instead of goats milk but, I found the triple butter base to be a better choice for my customers. COMMENTS: Very creamy soap, great lather..Im happy with purchase! "Not sure why I waited so long to get this"
COMMENTS: I love this base. I have a number of other bases that I use but this could easily become a favorite. It is so smooth and creamy. I've had great positive feedback from customers with this soap. I advise you to at least try it. COMMENTS: I cut off a piece and used as is. Creamy lather and left my skin moisturized with no need for lotion. I am a bit puzzled though because for the ingredient it does not say "coconut milk" it says coconut fruit juice and uncertain if they are the same. COMMENTS: This is my better selling bar of soap. I tried the 2lb trays and needed to order the 24lb. block. Great soap, wonderful lather. Addling a little sparkle to it makes it even prettier. The scent is very pleasant even without added fragrance. COMMENTS: This is a great base! It doesn't sweat, it has a wonderfully creamy lather and it smells nice. "Can't keep this product in stock!" COMMENTS: Love to have tons of this on hand. I use it and my customers love it. Smooth, detergent free, with a great velvety soft lather. I recommend it to any natural line! Works doubly well with any tropical/coconut based FO/EO's too! COMMENTS: I use this in my sugar scrub recipe and LOVE IT!!!!! "COCONUT MILK M AND P"
COMMENTS: So easy to use, very creamy and bubbly. COMMENTS: Coconut products are very popular right now so this is a great one. Thank you. COMMENTS: I used this base to make sugar scrub cubes as well as regular m&p soap and everything turned out wonderfully! It is a very creamy base that has excellent lather. I have noticed that it does take longer for my soaps to harden with this base, but it is so good that I will use it again. COMMENTS: I'm not a fan of a lot of soap bases besides glycerin but coconut milk base is addicting! It melts well without burning, lasts longer than white soap base, but has all the moisturizing qualities of a Shea butter or aloe based mix. I'm allergic to aloe and this is a great alternative! I won't recommend this base for any molds that don't have a vent (I.e. sphere molds) because it tends to bubble. COMMENTS: Holds scent very well, lather is good, I will reorder. COMMENTS: I just made my 1st bath of m&p out of this base. I didnt' use any fragrance of colors...just straight coconut milk base. WOW !!! very creamy soap, great lather...silky is the best way to describe it. Will only buy this base from now on. "This is a very nice MP base!" COMMENTS: This base is a great MP opaque base. I use it for all my opaque bar needs. I am very pleased with how it takes and holds colors and embedding. I have nothing to say that is negative about this base. "The ingredient list says it's made with coconut juice; there is coconut water and coconut milk, but never heard of coconut juice. Many customers have asked this here, and your answers are confusing. If it is milk, why not list it as coconut milk in the ingredient list?" Staff Answer In the Common Name Ingredient Listing, which is FDA approved, it is listed as Coconut Milk. The INCI name (International Nomenclature of Cosmetic Ingredients) which is internationally recognized, the correct listing is Cocos Nucifera (Coconut) Fruit Juice. If only selling your product in the US, you can use the Common Name. You can also list both, INCI name and common name, if you prefer. "Hello, thank you so much for answering my questions. I am super happy with all products I received from yiu and service provided. I tested only few MP bases and I am not sure if I did something wroing but I made layered soap using the detergent free three butter base and all of my layers did not adhere. I though maybe you could suggest bases that perform better for layers, embedding etc. I am looking for both, clear and opaque bases. " Staff Answer To get your layers to stick together when making MP soap, you need to generously spritz rubbing alcohol on the hardened layer before pouring the next layer. This will make the layers adhere to each other. Any of our soap bases will work when layering them. "Hello. Please provide a summary of the difference between detergent free soap bases vs. soap bases with detergent. I understand the difference in ingredients. I am interested in a summary of what the products do -- for example, is the detergent soap base going to provide a more luxuriant lather? Is one more drying? Is one harder? Thank you. " Staff Answer The Detergent Free Soap Bases are soap bases that do not contain synthetic detergents and are comprised with fewest amount of ingredients. Detergent free bases produce bubbles that tend to be smaller and creamier while detergent bases offer bigger bubbles. Also detergent free bases tend to create a softer bar of soap and may require 'curing' time to allow it to harden. "The description says it contains coconut milk but the ingredients only list coconut oil and coconut fruit juice. Can I say it contains coconut milk if I don't see that it does? I know in the goat's milk base, it lists goats milk in the ingredients. Thanks!" Staff Answer Cocos Nucifera (Coconut) Fruit Juice is the natural juice expressed from pressed coconut meat which is more commonly known as coconut milk. Therefore this soap base does contain coconut milk and can be listed on your label as such. "I used this soap and it sweated. I am assuming b/c I mixed the color with glycerin. How do you get rid of the sweat on the soap?" Staff Answer It is not uncommon for our Detergent Free Soaps may sweat when unmolded. If any sweating does occur, let the soap set out to "cure" for up to a week. The base is softer upon unmolding and then hardens while it cures. Once the sweating has stopped, you can spritz the bars with alcohol and wipe away any sweat beads or crystals. After the "cure" wrapping is not necessary. "is it possible to mix two different soap bases together? for example, if i wanted to mix coconut mix base with three butter, would my soap stay in tact? would it fall apart?" Staff Answer Yes, you can mix any of our soap bases with another of our soap bases. This is a great way to create your own customer base. "I am allergic to coconut (digesting), will this bother my skin?" Staff Answer If you have an allergy to coconut proteins then we do not recommend using any products made with coconut oils or additives such as coconut milk. If your doctor instructs you differently, we would defer to their advice. I would say talk to your doctor first before trying anything with coconut oil. Sometimes a food allergy can be topical, sometimes not. If you don't have time to speak with your doctor, do a spot test on the inner corner of your elbow to see if you experience a reaction before using this oil. I have to do this with all store-bought detergents and some shampoos and it's the quickest way to know if you're going to have a problem.